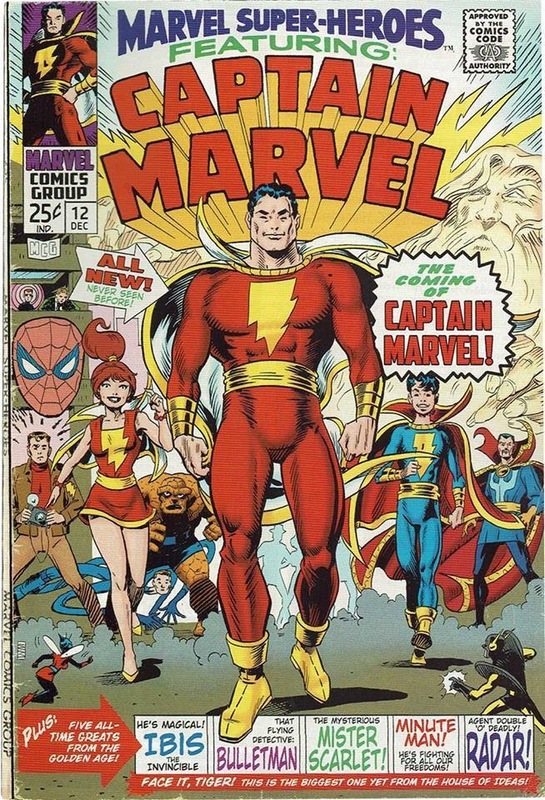 Giant-Size Geek: More fun with the Original Captain Marvel! More fun with the Original Captain Marvel! I'm obviously obsessed over the fact that Marvel's Captain Marvel and the DC Original Big Red Cheese are coming out at the same time. Just saw these two photoshopped comic book covers today! 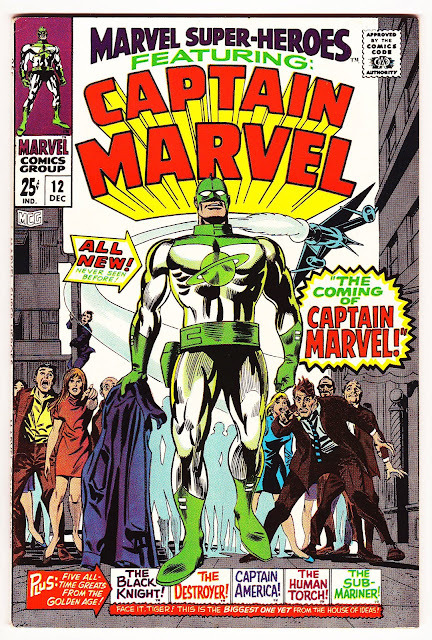 A great take off on the classic Marvel cover, see below for that one. It's pretty well rendered, I wish I knew who the artist was. Someone pointed out this artist is better at drawing feet than Gene Colan was! Marvel Super Heroes 12 from December 1967, original cover by Gene Colan. A take off on the classic Flash of Two Worlds cover. If Carmine Infantino had a dollar every time this cover was homaged he would have been a wealthy man.